Braille signVista System International, a leading manufacturer of Modular Curved Frame Technology (MCFT), has announced its latest collaboration with Irish based, Braille Signs Audio Visual Accessibility Solutions Ltd. The company, which is located in Co. Laois, presently operates in three main areas of accessibility, Braille and tactile signage, Induction Loops and Door Automation. Vista said the collaboration has been created in order to provide sign professionals throughout Europe with a Braille solution, which complements the Vista System framing technology. 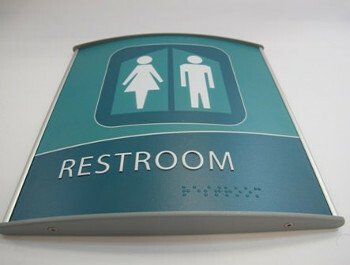 It added that after two months of training and sample preparation, Vista System has officially included Braille Signs to its list of Braille providers. Braille Signs Audio Visual Accessibility Solutions Ltd. specializes in providing Audio, Visual & Accessibility solutions to help create a fully inclusive society for all. Co-owner John Duffy approached Vista System with a pitch that simply made sense: "For far too long people with disabilities have been restricted and even excluded, from participating in everyday life. We have the power to make a difference".